There is yet another parking plan for downtown Buffalo, as the Common Council approved a changed version of the plan approved two weeks ago, including most of the parking price increases. The plan approved during the holidays was attacked so strongly, the Council and Mayor Byron Brown went back to the map and made some changes. That means city crews will be out again to change the signs around KeyBank Center that were just changed. 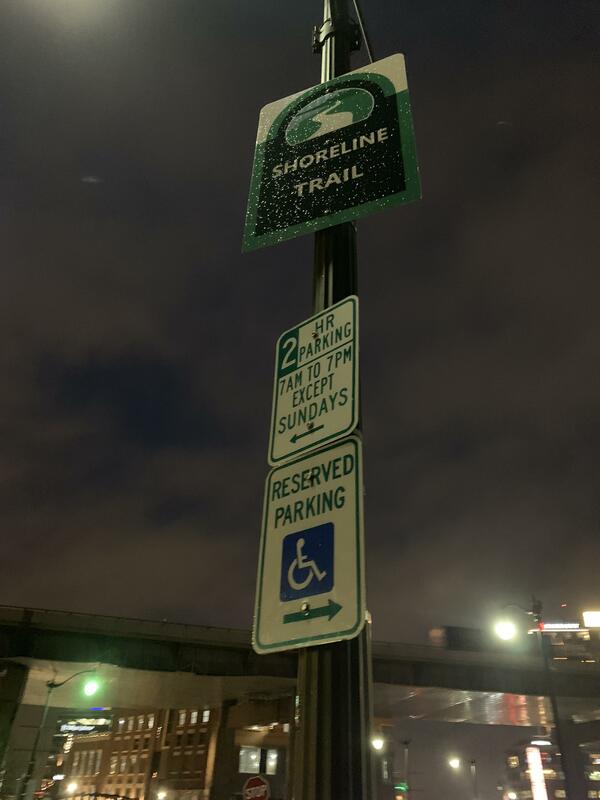 While it sets up a higher rate for events system, city leaders are still trying to figure out how to tell parkers when it is time for the higher prices for event parking. There is also the question of the smart phone-based Buffalo Roam app system. The new system is built around the app because it is cheaper than the $600 parking meters and the $12,000 kiosks that issue the tickets for your dashboard. However, Councilmember Joseph Golombek noted a recent report that found a lot of city residents do not have computers and smart phones. "I guarantee you that the 23 percent number is not in East Amherst," the North District Councilmember said. "If you come into the district that I represent, I bet you it's closer to 50 percent of the residents. If you go into the Riverside Library, the one thing that is constantly in use are the computers on a regular basis. Very rare that I have gone in there that there's all the computers not being filled." Parking Commissioner Kevin Helfer said he and City Engineer Mike Finn are trying to figure out how to tell people when parking is an "event." "KeyBank Center was logically the best place to start because I think most people know when an event's going on, when 18,000 people are going down. It's kind of self-explanatory," Helfer said. "Mike and I are working on the best system, whether it's signage that will be on a hinge that we pull down saying event rates now in effect or whether it's variable message boards or LED signs, we're going to come up with a sign that best communicates that to the public." Helfer said Buffalo Roam is getting a lot of use from its 35,000 registered customers. He said more of those parking kiosks will be installed around the hockey arena for those without the app to help use the newly opened 115 parking space around the arena. There will also be some parking meters installed. 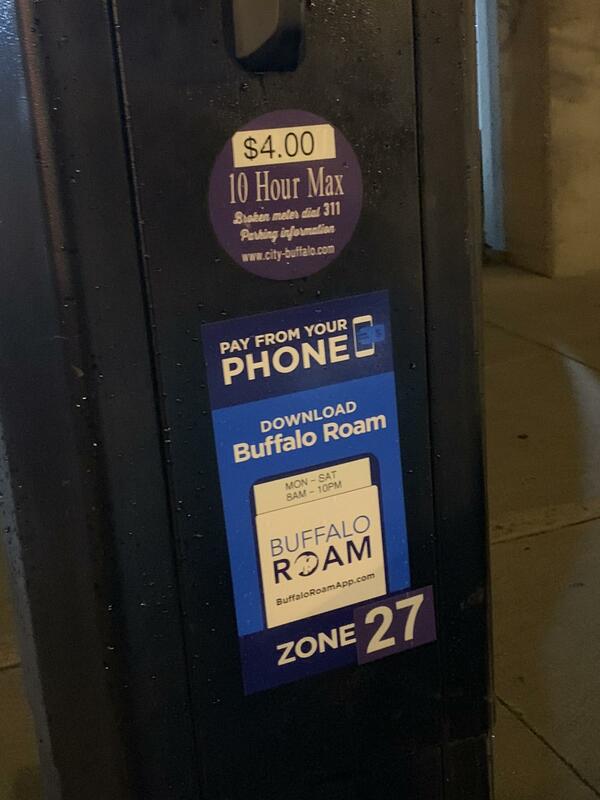 During a Buffalo Bandits game over the weekend, Buffalo Roam was used 153 times for parking spaces. Brown said the plan is working well because it is creating more turnover for parking spaces, which should help businesses downtown, like stores or restaurants. Event parking was also in effect for Tuesday night’s Buffalo Sabres game. The changes make it so motorists have to pay $2 an hour from 5 p.m.-10 p.m. Steve Bader traveled from Mississauga, ON for the game and said change like this may prevent him from making trips back. Buffalo resident Aymen Musleh is one of many residents who said he is confused about how and when certain changes will go into effect. He also does not like the city pushing him to use its parking app. “I won’t download the app to make it, because it’s just feeding that I agree with it and I don’t,” said Luann Washer, who lives in Williamsville and works in Buffalo. 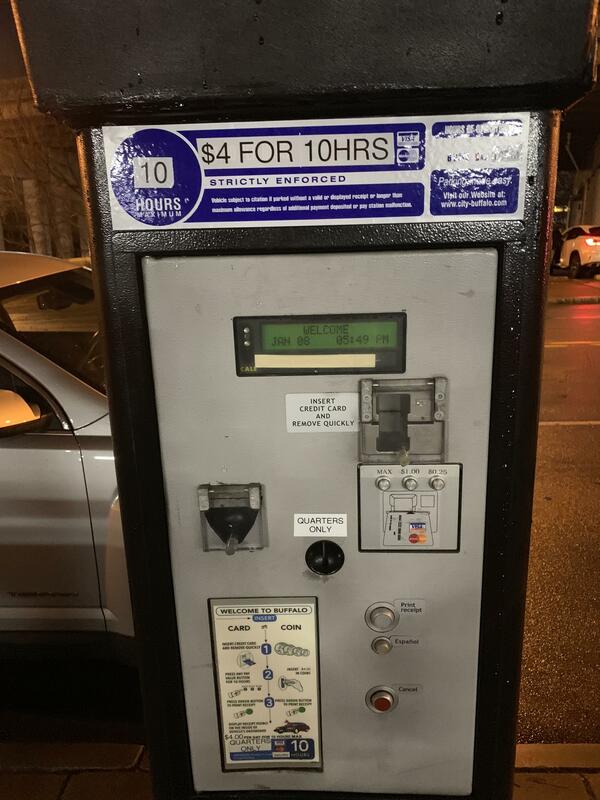 Washer works a night shift in the city that starts at 7 p.m. She currently parks in front of a meter, but said she will have to go to a ramp if changes move beyond event parking. “The fear is that because they raised the meter, now everyone is afraid they are going to raise the ramps and the parking lots as well,” she said. She said it is just one more added expense people have to take out of their salary. In the meantime, the city will use the next few months to evaluate incremental changes.